One billion people suffer from hunger while in the western world so much food is wasted unnecessarily. Food loss occurs at different stages in the food chain from farm to consumer and all stages in between. The average Dutchman alone, throws away about 100 kilograms of food a year. 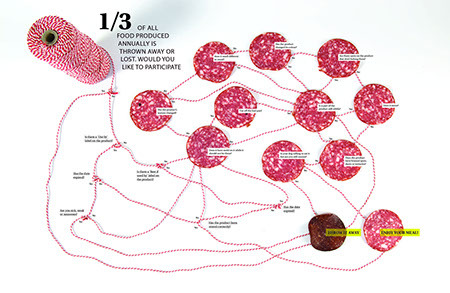 Globally this adds up to as much as 1.3 billion tons of edible parts of food! One of the solutions to the world food problem is the prevention of food wastage. Ruigwerk finds it a shame that the food, which really is still good to be eaten, ends up in the trash. Lots of ‘Expired by date’ products are still very edible. Many consumers play safe purely on the labeling of products. 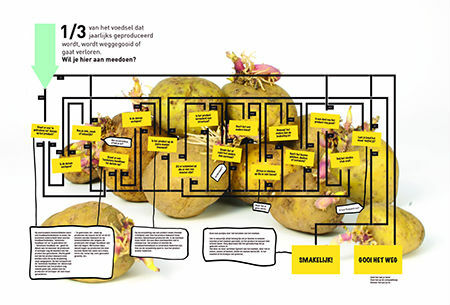 For a better understanding of what is not sustainable but still edible, a flowchart was created. Consumers can use this to rely on their own common sense. 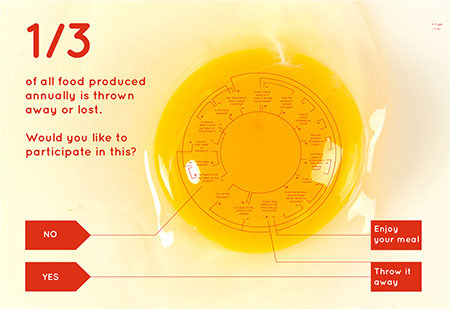 In a playful way consumers can think about how to interpret claims like ‘Best before’ or ‘Expired by date’. 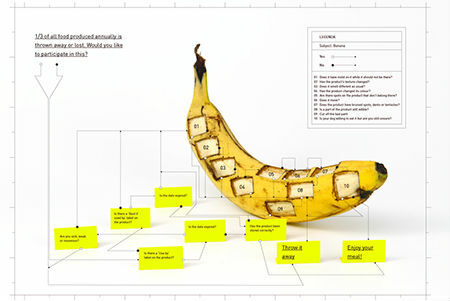 And the flowchart helps on determining how you can tell if a product is still edible, or not? These flowcharts have also been used in a workshop. Project during internship at Ruigwerk.